Capturing the magical beauty of New Mexico has been my challenge and passion since moving here just over a year ago. 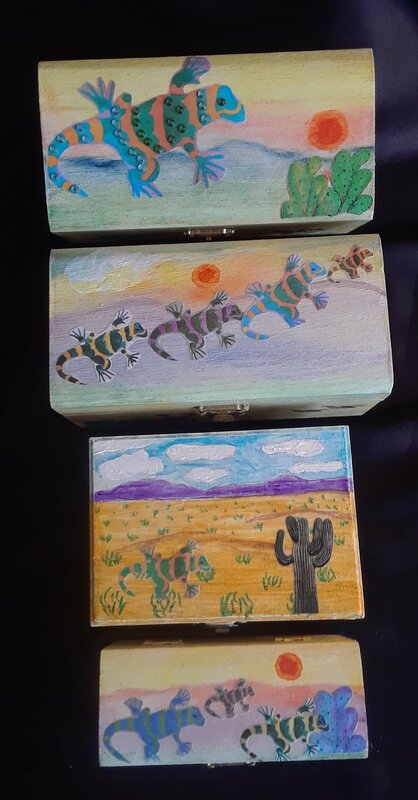 Working with my wife Roberta, we have created “Treasure Chests”. By computer altering my images Roberta adds decoupage and another whimsical layer to my painting. The result is artistic storage for your home. Hidden treasures everywhere!